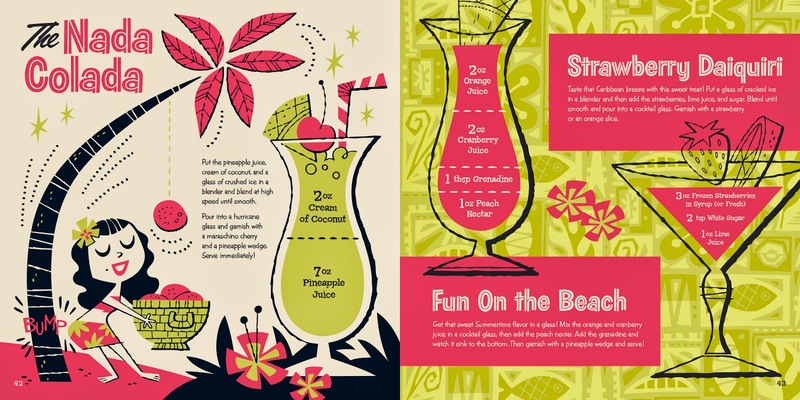 Ever wanted all the fun of mixing drinks without the booze? 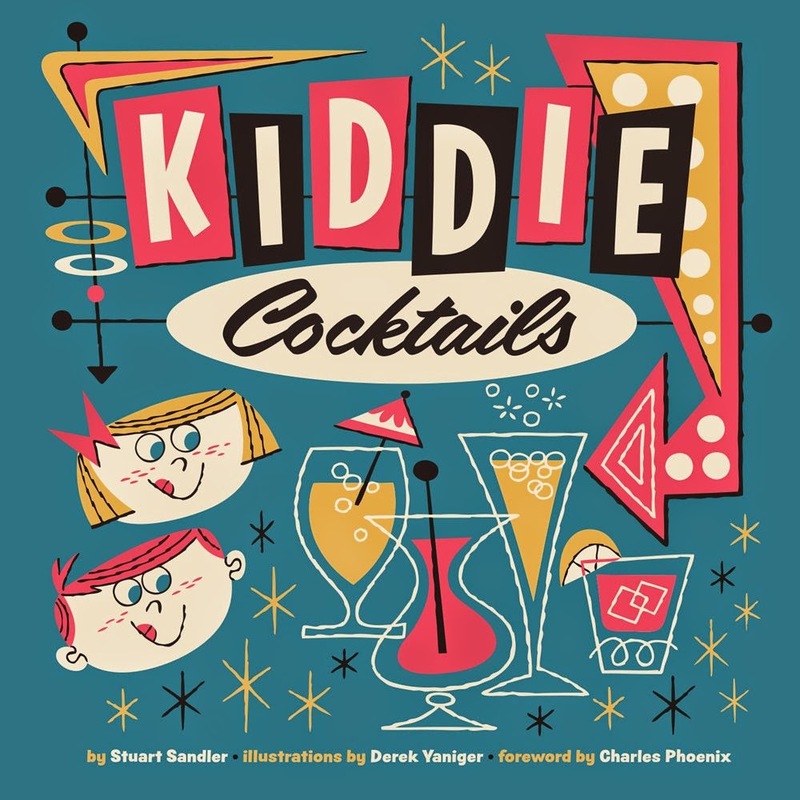 This book outlines all sorts of fabulous and tasty cocktails from the traditional Shirley Temple to something called Cactus Juice. 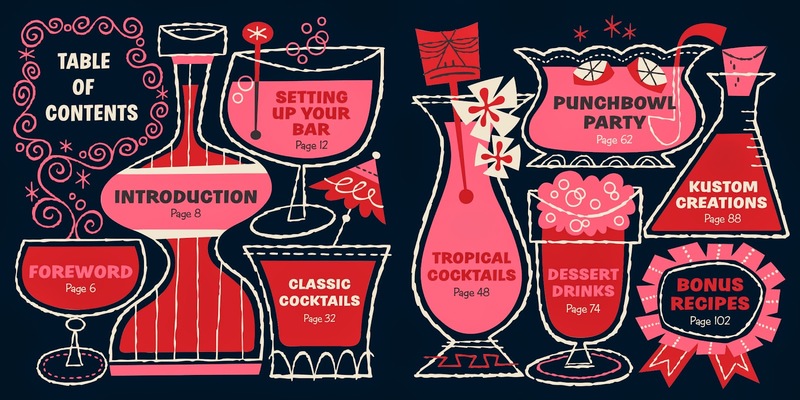 With a thorough outline of tools needed, instructions to get the perfect mix, and even suggestions for throwing a swingin' party, this book is a perfect tool for all ages to have a good time. You guys, I LOVE this book. 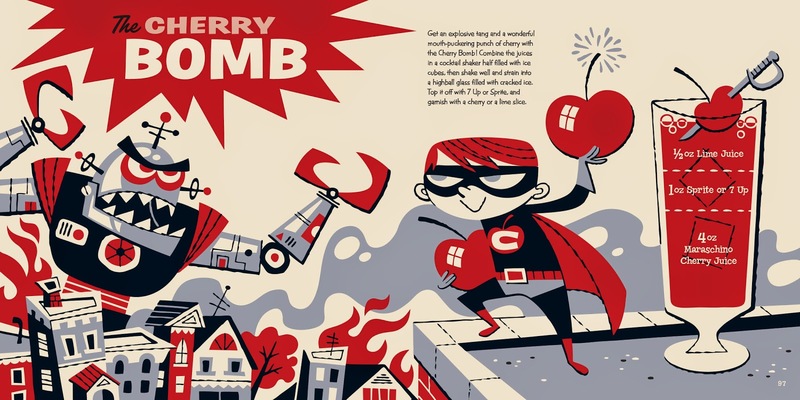 JUST LOOK AT THE ILLUSTRATIONS! I'd buy it for this art alone, I'm not even kidding. Every. Single. Page. Is like this. So utterly fantastic!! (Yes, two exclamation points). Do you not feel like throwing a swingin' party just looking at it? 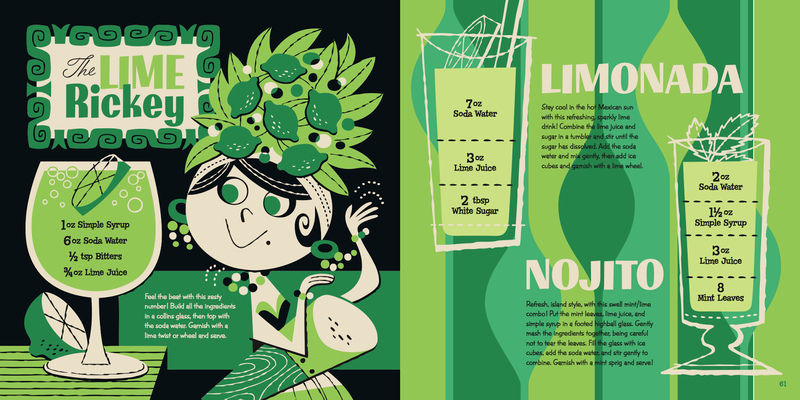 AND on top of all that, it's filled with super tasty drinks. Like, come on, what more do you need? I honestly do not know what I could criticize about this cookbook. Just go a get it, if just to see the illustrations.